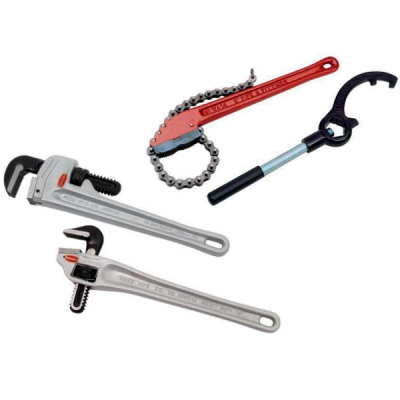 Reed Pipe Wrenches are the most popular pipe wrench style. High-tensile ductile iron handle and hardened, forged alloy steel parts are designed to withstand the heaviest demands. Offset pipe wrenches have similar construction and provide longer swing and better access to hard-to-reach places.